Easily grown in average, well-drained soil. 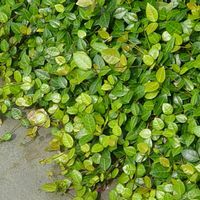 As a ground cover, space plants 2 to 3 ft. apart; control weeds until plants fill in. For a vertical effect, provide support such as trellis or arbor. A periodic trim promotes new growth with more pronounced foliage coloration. Watering Needs: Needs regular watering - weekly, or more often in extreme heat. 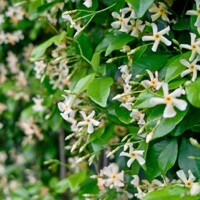 Asian jasmine (Trachelospermum asiaticum), or 'Dwarf Confederate' jasmine, is a multi-stemmed shrub that produces vine-like, woody branches. 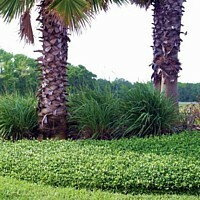 This sprawling plant is a true ground cover, as it forms a thick mat over the planting area. 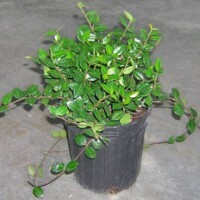 Asian jasmine plants are very drought- and cold-tolerant; they can survive dry, arid conditions when grass cannot, and Asian jasmine plants stay green after freezing. 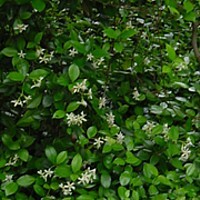 Asiatic jasmine can grow in full sun or in deep shade, where turfgrass will not grow. In South Florida, it prefers partial to full shade. 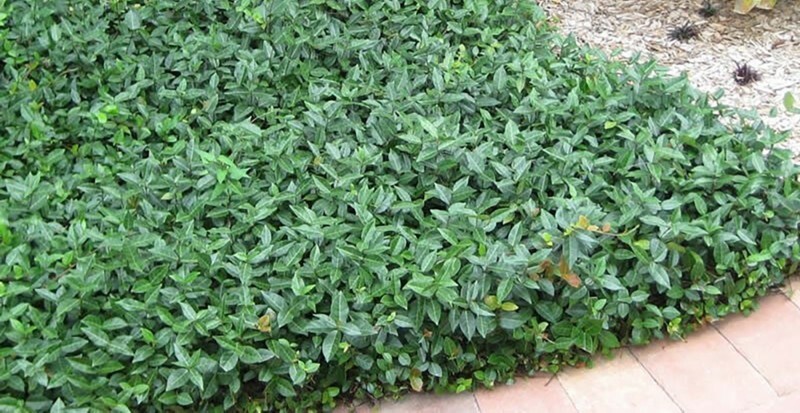 Asiatic jasmine forms a thick mat that blankets the ground. 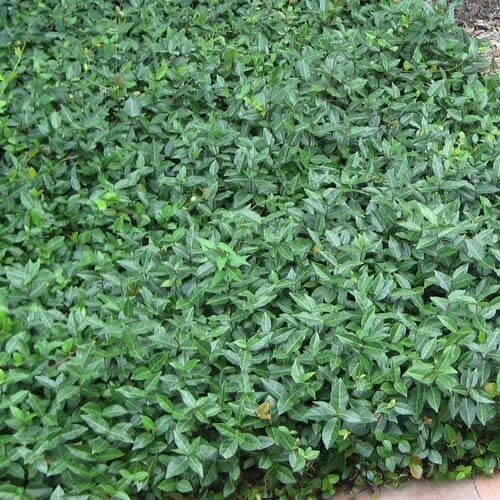 The ground cover is more tolerant of drought than most turfgrasses, and resists weeds and pests. Please fill out a quote request form below to get a quick cost estimate. We offer fast easy delivery service and can provide installation service for you. 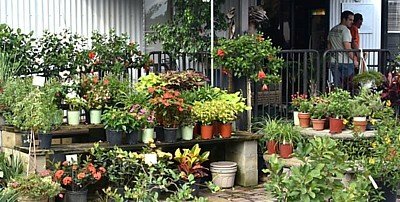 HOMEPAGE - Jacksonville Landscape Supplies & Full Service Garden Center. 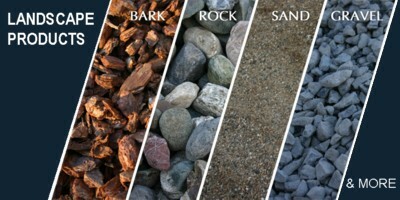 PRODUCTS - Jacksonville premium source of mulch, soil, rocks, plants & trees. SERVICES - We can deliver, install and take care of your landscape needs. GET A QUOTE - Get an estimate for the products, delivery and services. We carry an inventory of seasonal flowering plants but the types fluctuate too greatly to provide a list. Please call us for a specific plant you a looking for 904 727-1100 or fill out the quote request form. 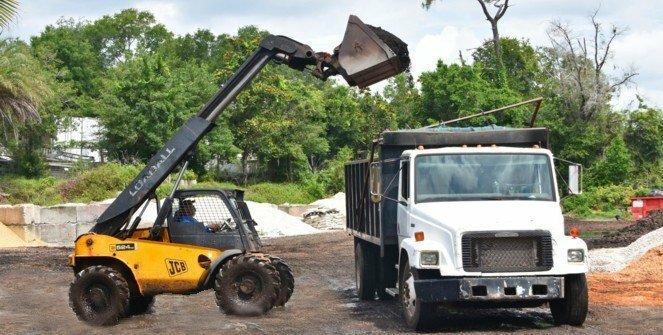 Jacksonville premium source of mulch, soil, stones, plants and trees. We install of all our products professional and timely manner. Whether it is a landscape products delivery, installation, tractor work or site prep, we'll get work done in professional and timely manner. Jacksonville Full Service Garden Center & Landscape Supply Company. Contact us for a free quote to your landscape project or product.